Dereck Chisora (21-5) has been appointed mandatory challenger for EBU heavyweight champ Erkan Teper (15-0). The parties now have a period for private negotiations but if no deal can be reached the EBU will call for purse bids. 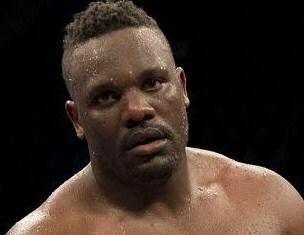 Teper won the vacant title with a stunning knockout over David Price in July while Chisora (pictured) returned after the loss (the second) to Tyson Fury by knocking out soft touch Beqa Lobjanidze in 29 seconds. Teper is with Z! Promotions while Chisora is promoted by Queensberrry. The IBF says that IBF cruiser champ Yoan Pablo Hernandez’s defence of the title against interim ruler Victor Hugo Ramirez now will go ahead September 26 in Buenos Aires. The fight was first set for July 25 but was postponed due to a problem with the venue. For Hernandez (29-1) it will be his first fight since August of 2014 and only his fourth fight in four years mainly due to illness and injuries. Ramirez (22-2) took a long break after losing to Marco Huck in 2009 but returned late 2013 and have since won seven straight. Swedish superlightweight Anthony Yigit (14-0-1) could be facing Frenchman Chaquib Fadli (13-4) on Sauerland Promotion’s Making History show in Nykoeping September 19 and heavyweight Otto Wallin (12-0) might take on Russian Vladislav Goncharov (5-1). Yigit’s fight is scheduled for eight while Wallin is in over six. Neither fights are announced nor confirmed by Sauerland but they have applied by way of the Swedish Pro Commission for special permission from the 12 minute max rule that applies in Sweden from the Martial Arts Delegation. Sauerland have announced Klara Svensson vs Mariela Gabriela Nunez over ten two minute rounds with the IBF title at stake but this fight is also subject to special permission from MAD, which they still don’t have. The headliner, Erik Skoglund vs Oleksandr Cherviak is all set though. Gavin McDonnell’s voluntary defence of the EBU superbantam title against Jerome Parodi (37-2-1) is postponed until October 24 and is moved to Sheffield. The fight was first set for August 1 in Hull. McDonnell (13-0-2) won the title earlier this year with a tko win over Oleksandr Yegorov.